Although the costs of health care in Mexico are significantly less expensive than in the U.S. or Canada, if something major happens to you internationally and you find yourself in a hospital, costs can add up quickly. 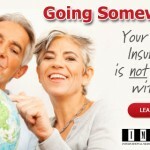 As an expat living in Mexico, I have seen the importance of having international major medical insurance first hand. There are two things wrong with this reasoning: 1) Without your health, you will not be able to live the dream you have worked so hard to create and 2) With this in mind, isn’t your health worth more than any THING you can buy? On a typical day in the tropics, warm and sunny, my friend set out on Hwy 307 towards Tulum with her boyfriend and her two children. The trip to Tulum was going to be a mixture of business and pleasure that included stopping into shops to pick up money and then going to the beach to play. It was her boyfriend’s birthday, so they were setting off to have a fun day. The last thing my friend remembers on this trip is looking back at her children while en route to Tulum. No one knows for sure what caused the auto accident, but her car ended up on the wrong side of the Hwy and rested against a utility pole. The front end of the car was smashed. Thankfully, the children, who were in the back seat, were unharmed. It was a different story for the two adults in the front seats. The driver had suffered a broken leg and my friend was unconscious. As the driver got the children out of the car and out of harms way, he waited for help to arrive. Passers by stopped to help and called 066, the Mexican 911. My friend was not as lucky. She was smashed up against the windshield with lacerations to her face and body from the broken glass and her femur and collarbone were broken. She recalls opening her eyes and seeing her leg over her head and as thick blood dripped into her eyes, she fell back into unconsciousness. The jaws of life arrived to remove my friend from the car. An ambulance rushed them to the hospital and the hospital did indeed admit and stabilize them. But as my friends lay in a state of shock, the doctors informed them of their injuries and what was going to be necessary to treat them. The hospital also informed my friends of the cost of the surgeries and that they needed payment up front before they would be preformed. This policy is typical in Mexico. The cost for the surgeries was going to be somewhere in the neighborhood of $15,000.00. Although that cost is significantly less than it would have been in the U.S. or Canada, with the little savings they had and the balances left on their credit cards, there was not enough to cover the surgeries. As word got out into the community of the accident, support arrived at the hospital to take care of the children. It did not take long to discover the seriousness of the accident and the predicament my friends were in. The only thing that could be done was done: The community jumped to action and raised donations. The donations came in, however, it took one week before enough money was raised and the surgeries could be preformed. That accident was almost a year ago and she is still healing. The community still supports her to keep her children fed, clothed and in school. It has been a very long year for her family but they are all thankful to be alive and together. As my friend continues to heal, she is becoming more and more independent and life is slowly returning to normal. Isn’t your health and safety worth more than anything else you can think of? You have worked so hard to build the life you have always wanted, do not cheat yourself by trying to save money on your health. Protect yourself and your family and get what you deserve. Health insurance is not free, but it is less expensive than an unexpected accident or a critical illness you never saw coming. Be careful of health plans that seem a little too cheap. Credible insurance agencies have to be able to pay claims and stay in business, so if a quote comes in at half the price of another plan, there is probably a good reason. Watch out for “Dread Disease” or “Accident Only” policies. Although these seem like a good deal, you never know what your future holds, and a good policy will encompass both. 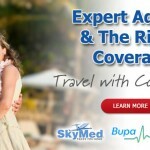 Our major medical policy may not be the cheapest policy available today, but it is the best coverage you can get for your money….and that gives expats peace of mind.